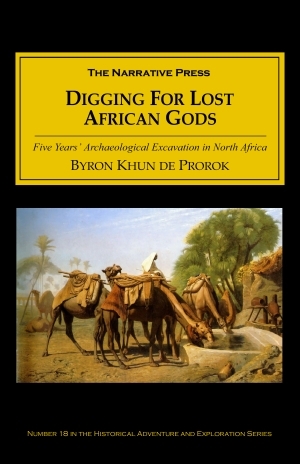 Byron Khun de Prorok, the daring (and highly theatrical) archaeologist active from the 1920’s to the 40’s, began excavating Carthage and Utica in 1921. 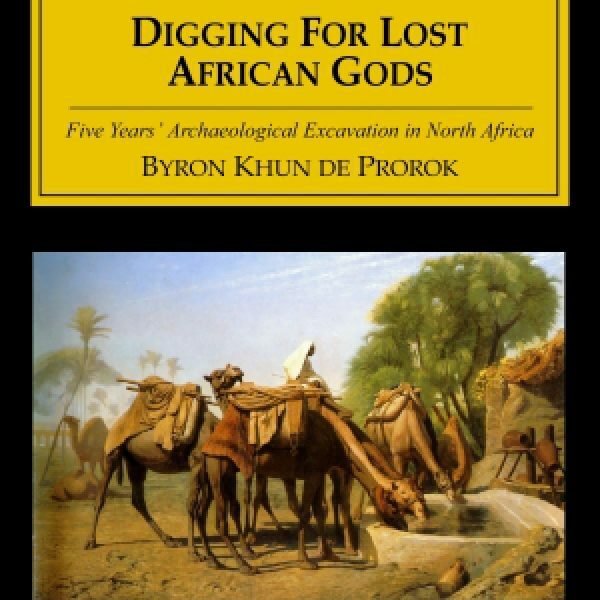 Digging for Lost African Gods is his account of several expeditions, as well as a lyrical treatise on archaeology (as it was practiced at the time) and the connections between people across centuries. Throughout, we share his excitement of discovery. For three hours Hassan wormed his way, like a human mole, into the clay, with only his feet sticking out of the soil. How he breathed baffles me, but at last we heard a muffled, but triumphant yell from the bowels of the earth… He backed out of the burrow, like a ferret in reverse gear, covered with mud, and holding in his hand a tiny bit of rotted wood. I was unimpressed, but Hassan trembled like an aspen in his excitement. We dug away with our knives, in turn, each one working until he was either almost suffocated, or quite exhausted. … at last we discovered a beautifully graceful piece of pottery lying near a crumbled skull. That was our first Punic tomb… It disclosed a new necropolis on the Hill of Juno, dating from the very foundation of Carthage. After Carthage, Prorok went deep-sea diving (in the huge old headgear), looking for a sunken city off Djerba. Later, he took a thousand-mile drive in custom-made, six-wheel Renault cars across the Algerian and Libyan deserts to the Hoggar mountains. Some of his techniques were brand new at the time, such as the use of the airplane to find and film large-scale and submerged archaeological sites. As in all of Prorok’s books, there is plenty of hair-raising adventure. At one point Prorok and his cameraman face an army of Mohammedan dancers. The drums beat harder and harder and faster and faster, and the chanting rose to a sustained roar. The fanatics barked like dogs, and handfuls of broken glass were … chewed by the dancers … the nails and knives were thrust into the living bodies of the zealots … the priests plied the dancers with live scorpions … which might have been shrimps, so eagerly were they devoured. This book makes you want grab and shovel and go. . . Well, maybe not. But we’re glad Prorok was there, and that he wrote about it. His other books are just as good: Mysterious Sahara (1929), In Quest of Lost Worlds (1935), and Dead Men Do Tell Tales (1942) are all available from The Narrative Press.